Sri Lanka finished off an impressive tour of Bangladesh in style, claiming a comprehensive victory in the second T20I in Sylhet. A career-best knock of 70 from Kusal Mendis and an impressive all-round bowling performance inspired Sri Lanka to a 75-run victory in the second and final T20I against Bangladesh at the Sylhet International Cricket Stadium. The victory meant Sri Lanka will leave Bangladesh with a spring in their step having won the ODI tri-series (also featuring Zimbabwe), the two-match Test series and now the battle between the two sides in the shortest format. 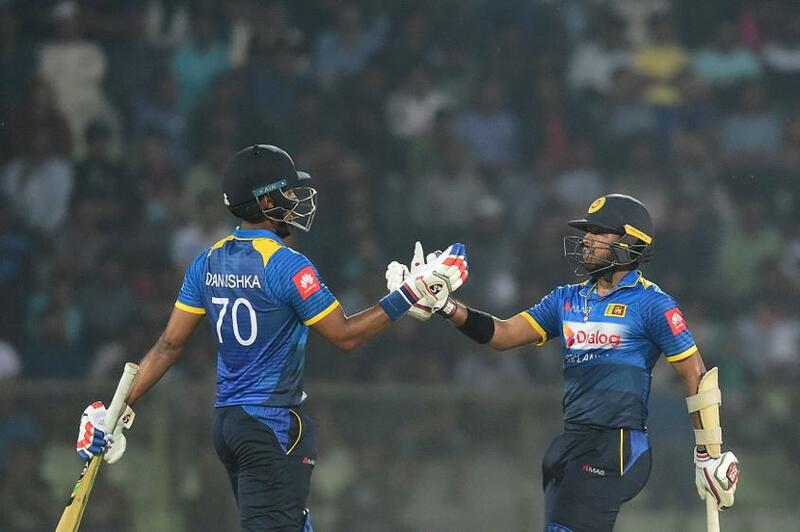 A superb opening stand of 98 in 66 balls from Mendis and Danushka Gunathilaka set the tone for the match, with the former striking six fours and three sixes in his 42-ball innings to surpass his previous high score of 53, made in the previous match. It was a superb effort from Mendis, particularly considering he hadn't even been selected in the original squad for this series. Gunathilaka provided steady support, scoring 42 from 37 deliveries, before holing out to Tamim Iqbal at long-off, giving Soumya Sarkar his only wicket. Thisara Perera, promoted to No.3 to capitalise on Sri Lanka's strong start, upped the ante still further, smashing 31 in a 17-ball cameo until he was also caught in the deep, with the debutant Abu Jayed collecting his first international wicket. Perera's flurry gave Sri Lanka the impetus to push beyond 200, as Upul Tharanga (25 off 13) and Dasun Shanaka (30* off 11) blitzed a succession of boundaries after Mendis was finally dismissed in the 17th over. Bangladesh made a miserable start in reply to Sri Lanka's 210/4, losing three wickets inside the first three overs. Sarkar was dismissed for a duck by the mystery spin of Akila Dananjaya before right-arm seamer Shehan Madushanka removed Mushfiqur Rahim and Mohammad Mithun in the same over. It was left to the experienced pair of Tamim (29) and Mahmudullah (41) to try and resurrect the innings, which they did with partial success until the former was caught on the cover boundary off the bowling of the debutant left-arm spinner Amila Aponso to leave Bangladesh 59/4. From there the innings drifted towards its inevitable conclusion, with Sri Lanka picking up regular wickets and no Bangladeshi batsman scoring fluently besides Mahmudullah. After Bangladesh's No.5 fell with the score on 110/6 in the 15th over – run out in unfortunate circumstances after Isuru Udana had dropped a caught-and-bowled chance only to take a second opportunity of a dismissal when Jeevan Mendis collected the ricochet at mid-on and returned it to him – the hosts lost their final four wickets for 25 runs, succumbing to a heavy defeat. Gunathilaka rounded off an impressive individual performance by picking up the final two wickets with his part-time off-spin to finish with figures of 2/3.